Turn It Loose Brings Classic Rock to The Mole Hill Theatre! 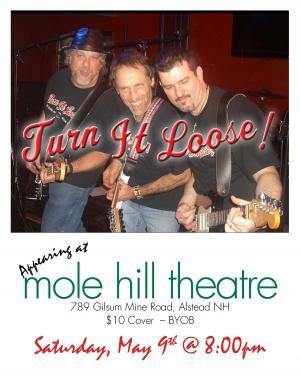 ALSTEAD, NEW HAMPSHIRE - Classic Rock 'n' Roll returns to the Mole Hill Theatre with Turn It Loose on Saturday, May 9th. This legendary Cheshire County band, featuring Charlie Pratt on bass, Tim (Squeege) Parras on drums and Dwayne Young and Michael Blake on guitar, always puts on a great show and you can expect some AC/DC and an electric atmosphere! We're glad to have them as part of the regular line-up! ALSTEAD, NEW Hampshire - Coming to the Mole Hill Theatre on May 8, The Gather Rounders is a string band quartet from Maine that tastefully blends traditional and progressive bluegrass and folk into a lush mix of clean harmonies, inventive pickin’ and solid grooves. The Gather Rounders make a unique brand of music rooted in tradition yet infused with inventive verve. Tonight! Butterfly Swing Band Comes to the Mole Hill Theatre! 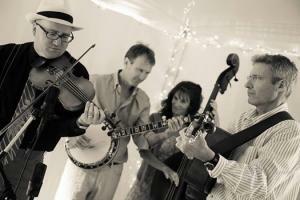 ALSTEAD, NEW HAMPSHIRE - The Butterfly Swing Band plays joyous dance music with a classic swing groove. The ensemble includes trumpet, sax, clarinet, guitar, bass and percussion. The band's repertoire features tunes from the 1920's, 30's & 40's by such legends as Duke Ellington, Count Basie, Cole Porter and Benny Goodman. This Brattleboro, Vermont-based band played Mole Hill last summer and they really rip it up! 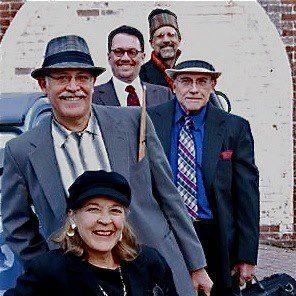 The Mole Hill is psyched to have them back for Swing into May Weekend! 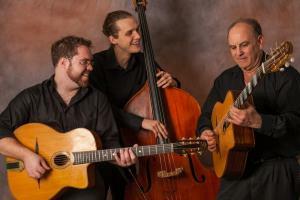 ALSTEAD, NEW HAMPSHIRE - The award winning gypsy jazz trio "Ameranouche" appears at Mole Hill Theatre on Friday, May 1. Veterans of the Newport Jazz Festival, Ameranouche plays a passionate style of music they call “Gypsy Flamenco Swing.” The ensemble's ripping, hot-acoustic Gypsy-inspired style mixes in Flamenco, Bebop and Jazz swing influences. Played on traditional French jazz guitars, the music is rhythmic, vigorous and elegant. 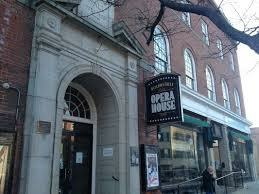 Upcoming Movie Schedule for the Bellows Falls Opera House! The Stockwell Brothers to play the Mole Hill Theatre! 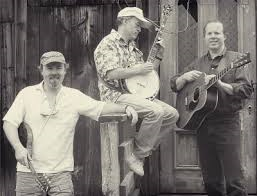 PUTNEY, VERMONT - Green Mountain "Newgrass artists" The Stockwell Brothers will perform at the Mole Hill Theatre on Friday, April 24 at 7:30 p.m. 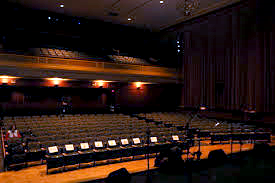 The Brothers have performed alongside legends Bill Monroe, Doc Watson and Earl Scruggs, as well as greats such as Mary-Chapin Carpenter, Jonathan Edwards and Asleep At The Wheel. 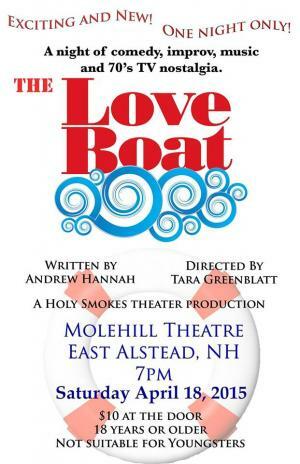 ALSTEAD, NEW HAMPSHIRE - It's comedy Night at The Mole Hill Theatre with The Love Boat on Saturday, April 18 at 7 p.m. High jinx on the high seas! Enjoy some low-brow laughs with the Holy Smokes Theatre Troupe's satirical send-up of television's "The Love Boat." 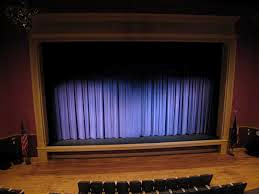 Upcoming Movie Schedule at the Bellows Falls Opera House! Life, Liberty and the Pursuit of Funkiness! 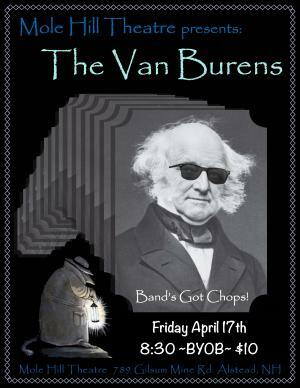 The Van Burens Invade The Mole Hill Theatre! 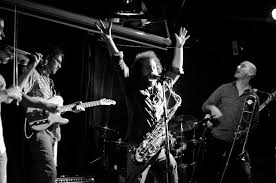 ALSTEAD, NEW HAMPSHIRE - Coming this Friday, April 17 at 8:30 pm and hailing from Quincy Massachusetts - city of Presidents - The Van Burens are dedicated to life, liberty and the pursuit of funkiness! This is an all-ages, B. Y. O. B. show. The band infuses their joyfully schizophrenic mix of rock, funk, prog and reggae with a seriously ironic, tongue-in-cheek twist on pop culture. The Van Burens offer eclectic, exciting songs ripe with danceable grooves, stellar musicianship, clever songwriting, and a singular sense of humor.